Scheduled maintenance on Nord Stream 1 took place July 17-30, the first since the start-up of Nord Stream, in 2011, to reduce the pipeline’s full capacity to zero. 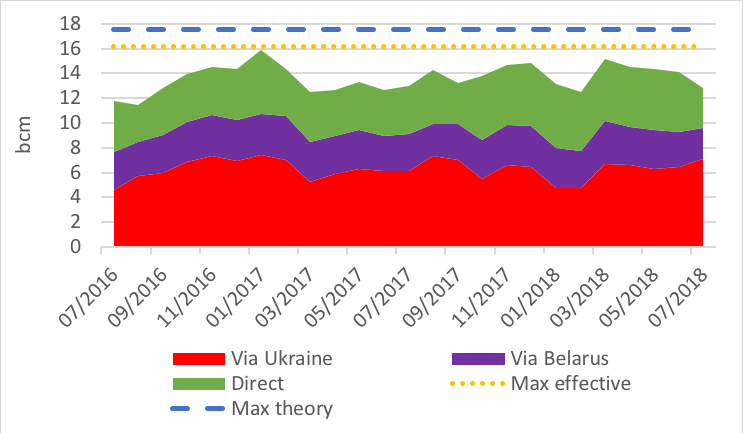 Flows of Russian gas via Ukraine have risen to their highest level (284mn m³/d, July 21) in summer to compensate for the volumes lost to the two-week maintenance on the Nord Stream 1. But on a monthly level, flows via Ukraine were, in July, still below the record witnessed in January 2017. Once maintenance ended, Ukraine transit dropped back to below 240mn m³/d, a 15% swing in flows. This maintenance reduced overall exports to EU in July (-9.2% vs June and -1.4% year on year). 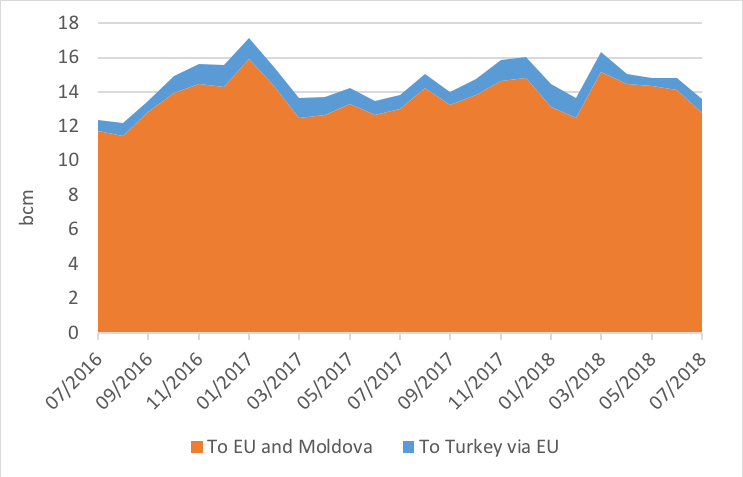 As Gazprom rightly prefers for economical reasons to use Nord Stream 1 as it pays the Ukrainian transit fees on a volumetric basis, we should see in the coming months an increase of overall flows to the EU. Demand will continue to rise following an extremely hot summer and depleted storage needs to be refilled before the coming winter season.